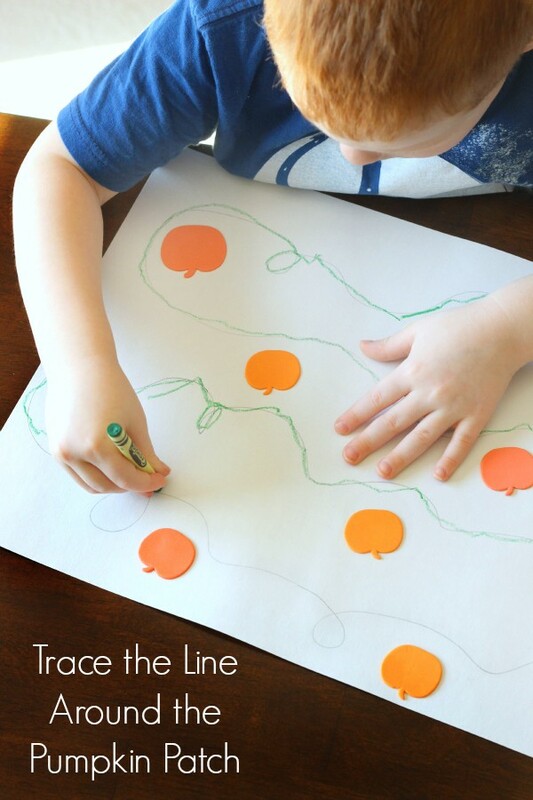 My son really enjoyed the first Follow the Line activity we did, so I thought it would be neat to do a follow the line around the pumpkin patch version! 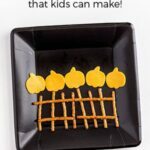 This pumpkin activity is super simple to set up, but very effective and something that can be done again and again. 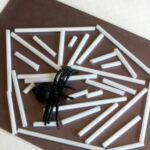 It is a great way for kids to develop fine motor control and practice drawing curved lines. My son enjoys tracing the line around the paper much more than doing a tracing worksheet or something like that. 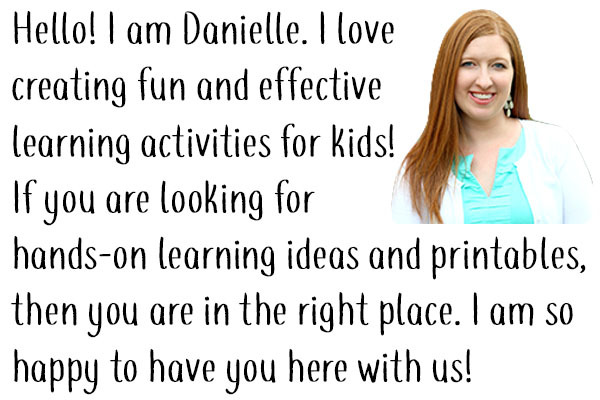 The best part is that you can tailor it to the child’s specific needs. 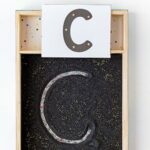 You can make it as easy or as hard as you would like. 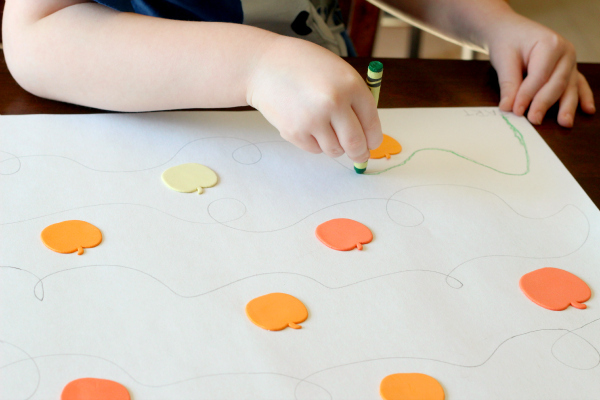 I did quite a bit of curves and loops because I knew my son was ready for it, but you could do only curves and no loops or a mix of curves and straight lines. 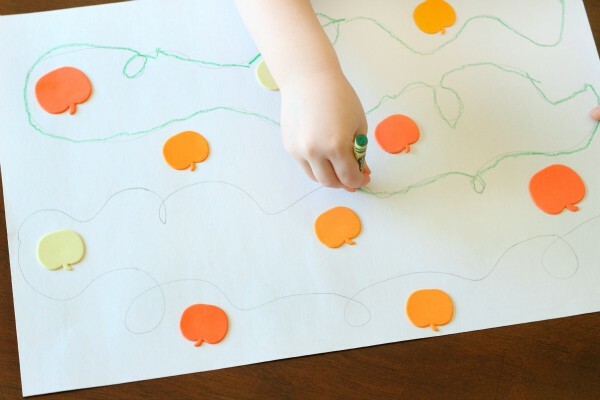 Write “start” at one corner of the paper and then draw a line that goes around the paper and eventually stops at another corner. Write “end” there. 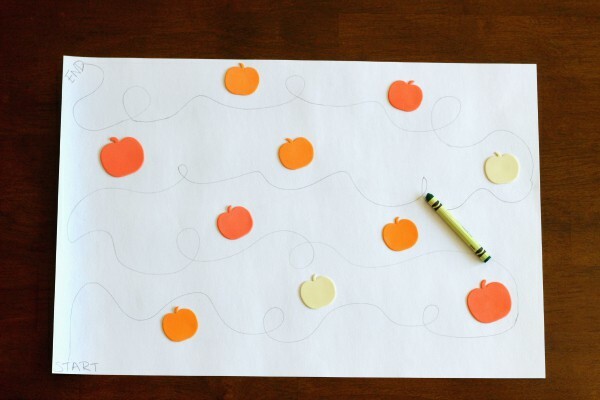 I chose to do lots of curves and loops like the vines you see at a pumpkin patch. 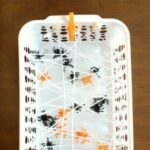 Place the pumpkin stickers around the line or draw some around it. 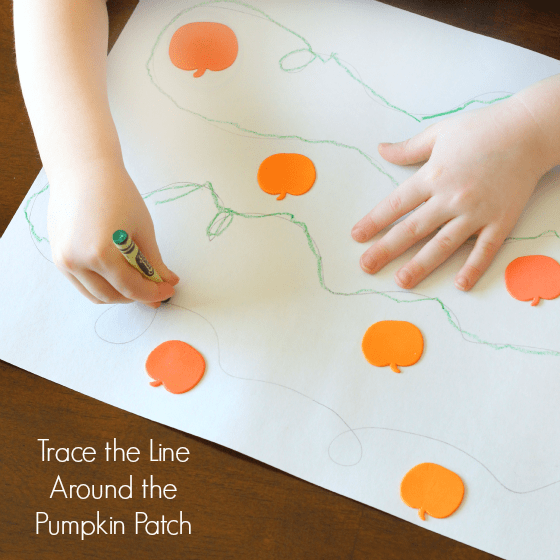 I showed my son the pumpkin patch and told him he was going to trace the line around the pumpkin patch. He actually got excited because he remembered the Follow the Line to School activity we did and how much liked it. 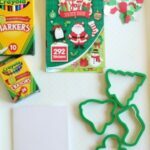 I gave him the green crayon and he got to work tracing the line all over the paper. He did a great job with the curves, but the loops gave him a challenge. He still did great though! 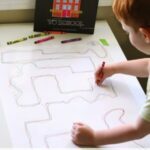 He really enjoyed this tracing activity and I was quite happy with the awesome handwriting practice he got!